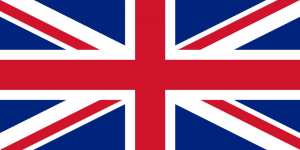 The United Kingdom of Great Britain and Northern Ireland (commonly known as the United Kingdom, the UK or Britain).The country includes the island of Great Britain, the north-eastern part of the island of Ireland and many smaller islands. Northern Ireland is the only part of the UK that shares a land border with another sovereign state—the Republic of Ireland. Apart from this land border the UK is surrounded by the Atlantic Ocean, the North Sea, the English Channel and the Irish Sea. It is a country in its own right and consists of four countries: England, Northern Ireland, Scotland and Wales.There are three devolved national administrations, each with varying powers, situated in Belfast, Cardiff and Edinburgh; the capitals of Northern Ireland, Wales and Scotland respectively. Associated with the UK, but not constitutionally part of it, are three Crown Dependencies and fourteen overseas territories. These are remnants of the British Empire which, at its height in 1922, encompassed almost a quarter of the world’s land surface and was the largest empire in history. British influence can still be observed in the language, culture and legal systems of many of its former territories. The UK is a developed country and has the world’s sixth-largest economy by nominal GDP and seventh-largest economy by purchasing power parity. It was the world’s first industrialised country and the world’s foremost power during the 19th and early 20th centuries.The UK remains a great power with leading economic, cultural, military, scientific and political influence.It is a recognised nuclear weapons state and its military expenditure ranks third or fourth in the world.The UK has been a permanent member of the United Nations Security Council since its first session in 1946; it is also a member of the Commonwealth of Nations, the Council of Europe, the European Union, the G7, the G8, the G20, NATO, the OECD and the World Trade Organization. English UK. Visit www.englishuk.com for a detailed course search and information about learning English in the UK. The university is the largest university by number of full-time students in the United Kingdom, with 161,270 campus-based students and over 50,000 distance learning students in the University of London International Programmes. The university was established by royal charter in 1836, as a degree-awarding examination board for students holding certificates from University College London (UCL) (previously called London University) and King’s College London and “other such other Institutions, corporate or unincorporated, as shall be established for the purpose of Education, whether within the Metropolis or elsewhere within our United Kingdom”. The university moved to a federal structure in 1900. For most practical purposes, ranging from admissions to funding, the constituent colleges operate on an independent basis, with some recently obtaining the power to award their own degrees whilst remaining in the federal university. The ten largest colleges of the university are UCL, King’s College London, Queen Mary, City, Birkbeck, the London School of Economics and Political Science, Royal Holloway, Goldsmiths, SOAS, and St George’s. 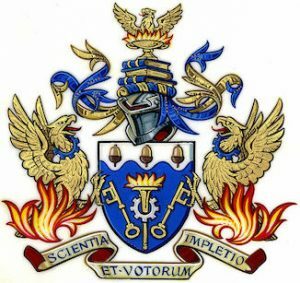 The specialist colleges of the university include the London Business School, the Royal Veterinary College and Heythrop College, specialising in philosophy and theology. Imperial College London was formerly a member before leaving the university in 2007. City is the most recent constituent college, having joined on 1 September 2016. 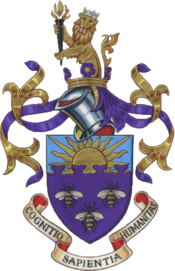 The University of Manchester is a public research university in Manchester, England, formed in 2004 by the merger of the University of Manchester Institute of Science and Technology and the Victoria University of Manchester. The University of Manchester is a red brick university, a product of the civic university movement of the late-19th century. The main campus is south of Manchester city centre on Oxford Road. In 2015/16, the university had 39,700 students and 10,400 staff, making it the second largest university in the UK (out of 166 including the Open University), and the largest single-site university. The university had an income of £987.2 million in 2015–16, of which £273.5 million was from research grants and contracts. It has the third largest endowment of any university in England, after the universities of Cambridge and Oxford. It is a member of the worldwide Universities Research Association, the Russell Group of British research universities and the N8 Group. The University of Manchester is ranked 29th in the world by QS World University Rankings 2016. In the 2015 Academic Ranking of World Universities, Manchester was ranked 35th in the world and 5th in the UK. In an employability ranking published by Emerging in 2015, where CEOs and chairmen were asked to select the top universities they recruited from, Manchester was placed 24th in the world and 5th nationally. The Global Employability University Ranking conducted by THE places Manchester at 27th worldwide and 10th in Europe, ahead of academic powerhouses such as Cornell, UPenn and LSE. It is ranked joint 55th in the world and 8th in the UK in the 2016 Times Higher Education World University Rankings. In the 2014 Research Excellence Framework, Manchester came fifth in terms of research power and seventeenth for grade point average quality when including specialist institutions. More students try to gain entry than to any other university in the country, with more than 55,000 applications for undergraduate courses in 2014 resulting in 6.5 applicants for every available place. According to the 2015 High Fliers Report, Manchester is the most targeted university by the largest number of leading graduate employers in the UK. Oregon State University (OSU) is a coeducational, public research university in the northwest United States, located in Corvallis, Oregon. The university offers more than 200 undergraduate degree programs along with numerous graduate and doctoral degree programs. 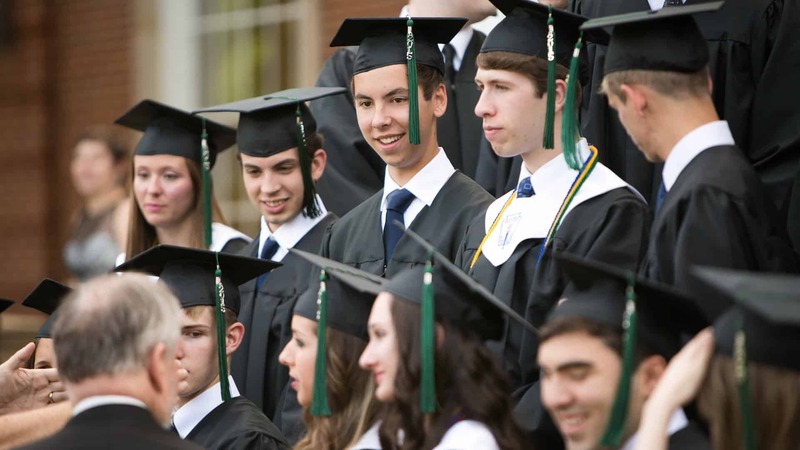 It is also the largest university in the state, with a total enrollment exceeding 28,000. More than 230,000 people have graduated from OSU since its founding. The Carnegie Foundation designates Oregon State University as a “Community Engagement” university and classifies it as a doctoral university with a “Highest research activity” status along with another 114 top U.S. academic institutions. OSU is one of 73 land-grant universities in the United States. The school is also a sea-grant, space-grant, and sun-grant institution, making it one of only two U.S. institutions to obtain all four designations and the only public university to do so (Cornell is the only other with similar designations). OSU received $308.9 million in research grants and contracts for the 2015 fiscal year. 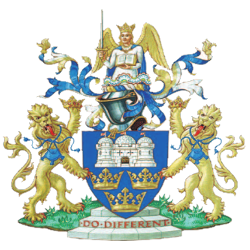 Newcastle University (Officially, the University of Newcastle upon Tyne) is a public research university in Newcastle upon Tyne in the North-East of England. The university can trace its origins to a School of Medicine and Surgery (later the College of Medicine), established in 1834, and to the College of Physical Science (later renamed Armstrong College), founded in 1871. 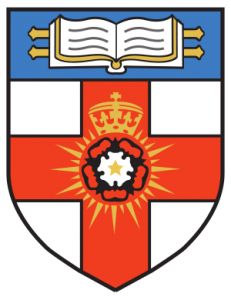 These two colleges came to form one division of the federal University of Durham, with the Durham Colleges forming the other. 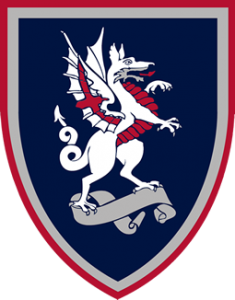 The Newcastle colleges merged to form King’s College in 1937. 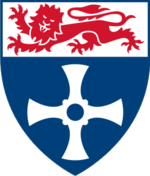 In 1963, following an Act of Parliament, King’s College became the University of Newcastle upon Tyne. UEA) is an internationally renowned university based in a campus that provides top quality academic, social and cultural facilities to over 13,000 students. It Offers Undergraduate, Postgraduate courses in various study fields. The University of Bedfordshire is a modern, pioneering university in touch with the real world and the needs of students and employers alike. We are proud to have a diverse and vibrant community that includes more than 3,000 students from all over the world. We offer a special British higher education experience. By combining the knowledge needed in each subject area with the development and application of generic, personal skills (such as team working, presentations, report writing, IT skills etc) we make sure our graduates are highly attractive to employers world-wide. We’ll help you to open up new possibilities and achieve goals you may never have thought possible. With over 23,000 students from 120 countries worldwide, UEL is one of the UK’s most diverse and fastest growing universities.We are one of the top universities in the UK for investment per student in facilties. We offer a wide range of programmes at undergraduate and postgraduate level. Students are able to choose a degree that meets academic interests and employment aspirations. AA Hamilton College has built an enviable reputation for success in student career development. Led by a team of experienced educationalists with a passion to create success, the Academy has an excellent record in external examinations, enabling students to access University degree courses through the one year University Foundation Course and the Postgraduate Diploma. We are a vibrant, lively college passionate about delivering first-rate learning. We aim to be excellent in everything we do. We offer over 300 full and part-time courses to help you improve your employment opportunities, prepare for higher education, or develop your personal interests. We offer the latest in training facilities and have campuses in Willesden and Wembley Park. You can study for internationally recognised and respected graduate and postgraduate qualifications, offered by established British universities, that will help you achieve your personal and career objectives; you can learn, and live, in London – one of the most exciting cities in the world; and you can choose from many practical and academic courses Postgraduate ,Undergraduate and Professional Courses, in subjects that will give you the skills and knowledge you need to succeed. With over 1000 new students each year, mostly aged between 18 and 25, from over 100 countries around the world, West London College is a truly international environment.All courses follow the requirements of the relevant UK examination authorities and lead to qualifications awarded by professional bodies or degrees awarded by British Universities. The City of London Academy (CLA) is a newly established college located in the heart of London. We are an independent institution offering quality higher education at very competitive prices. The Academy is passionate about helping students develop their academic and professional skills to make them confident and well equipped for the careers that they pursue upon graduation from our college. Bradford College has been delivering quality education and training for over 175 years. Each year we deliver hundreds of courses to over 23,000 learners, from across the globe. The College is the fourth largest in the country and the largest provider of higher education outside of the university sector in England. TASMAC London School of Businessoffers a range of Undergraduate and Postgraduate Business Degree programmes validated by the University of Wales and Open and Distance Learning BA and MBA programmes from IGNOU. Students can study for a University of Wales BA (Hons) in Management, Marketing and Finance or take the Full Time University of Wales MBA in the following specialization: Marketing, Finance, Human Resource Management and International Business. Professional students can study for the Weekend MBA Programme from the University of Wales on a Part Time – Weekend basis. TASMAC London is validated by the University of Wales, accredited by the British Accreditation Council (BAC), graded an “A” Institution by the UK Borders Agency(Home Office), the only European centre for IGNOU Programmes and Examinations and a Member of the European Council for Business Education and Study UK. At Waltham Forest College we are committed to helping our students achieve their full potential in a safe and secureenvironment. When students become part of the College’s diverse community they have the opportunity to make new friends and take part in a range of exciting activities that will help their personal development. Construction,Employer Courses,Engineering,Foundation Courses, Hairdressing and Beauty Therapy,Hospitality and Catering,Life and Work Skills,Painting and Decorating, Public Services,Sport Studies,Teacher Training & Professional Development, Travel and Tourism etc. The British Institute of Technology & E-commerce (BITE) in collaboration with UK University partners and in association with industry offers a wide range of courses. These courses have been developed in consultation with business and government sectors to address the gap between industry and higher education. The range of courses include Masters degrees, covering MBA, LLM, MA and MSc qualifications. At undergraduate level, we offer courses with particular focus on business and technology. 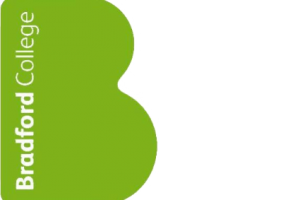 BITE is also a British Council accredited test centre for The International English Language Testing System (IELTS). The IELTS test is available in two modules at BITE – Academic and General Training. The Academic Module is used by candidates for admission to undergraduate or postgraduate courses and for registration with professional bodies. The General Training Module emphasises basic survival skills in a broad social and educational context. 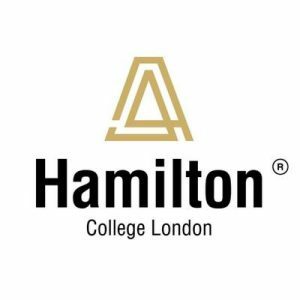 We are a private college based in Harrow specialising in fully-accredited English language, professional development and academic preparation courses. We’re here to make sure you achieve your goals, offering first-class teaching and support along the way.